Monday May 8, at 19:30 Gearóid Ó hAllmhuráin will give an illustrated presentation based on ‘Ghost of the Carricks: An Irish Famine Odyssey in Rural Quebec’, a forthcoming documentary film which he produced and directed. The documentary profiles the coffin ship Carricks of Whitehaven that foundered off the Gaspé coast in April 1847. 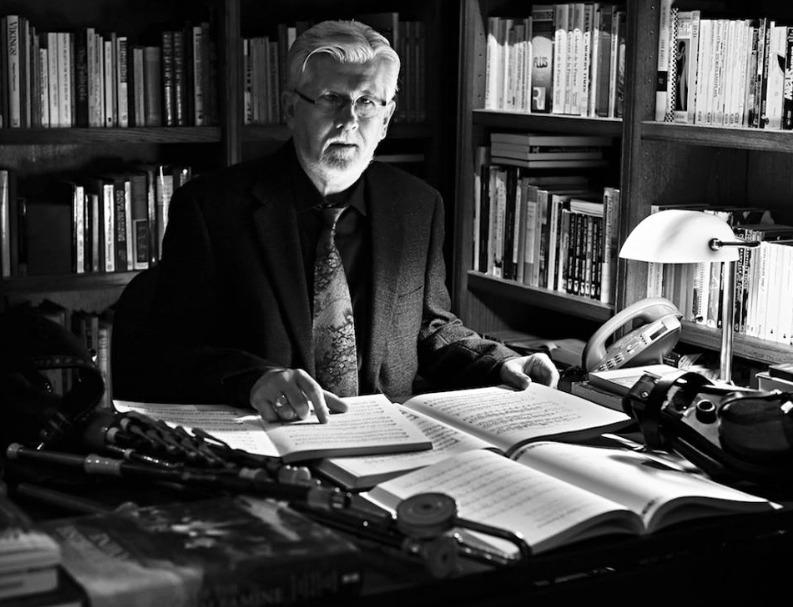 Professor Gearóid Ó hAllmhuráin, a native of Clare, is an award-winning Irish musician, ethnomusicologist and cultural historian. Formerly Jefferson Smurfit Professor of Irish Studies and Professor of Music at the University of Missouri–St. Louis, he holds the bilingual Johnson Chair in Quebec and Canadian Irish Studies at Concordia University, Montreal. He has performed, broadcast, adjudicated and lectured on Irish music throughout Europe and North America. Funded by the Quebec government, his research focuses on cultural memory and Irish soundscapes in Quebec and Canada since the fall of New France.